Final table $550 @FoxwoodsPoker WSOP-C event. Coming in 2/10. 50k up top lets get it! 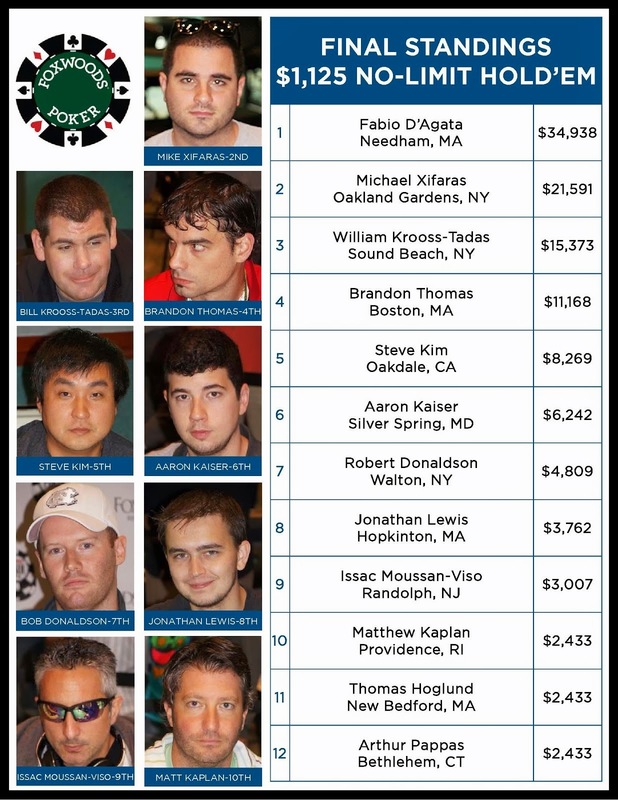 We have reached the final ten players in the $580 No-Limit Hold 'em Re-entry event at the Foxwoods Circuit. James Campbell Leads the $580 No-Limit Field with 21 Remaining. 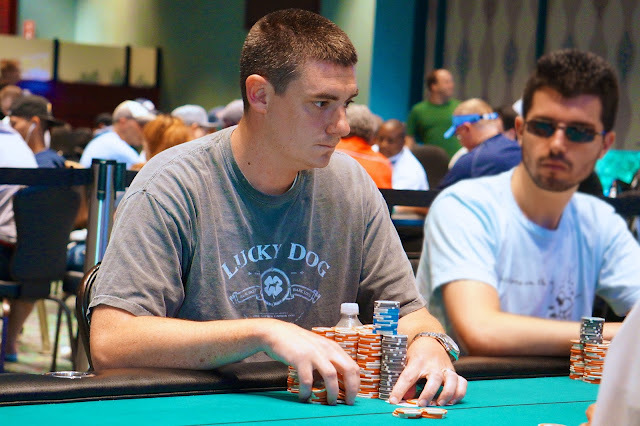 With just 21 players remaining in the $580 No-Limit Hold 'em Re-entry event, Foxwoods regular and online legend James Campbell has taken the chip lead. Campbell sits on over 600,000 in chips and is looking for his first Circuit Ring. The sixth event at the WSOP Circuit, the $365 No-Limit Hold 'em, drew 276 players. The $580 No-Limit Hold 'em Re-entry field was quickly whittled down from 66 to 46 on Day 2. That, however, is when things slowed down. 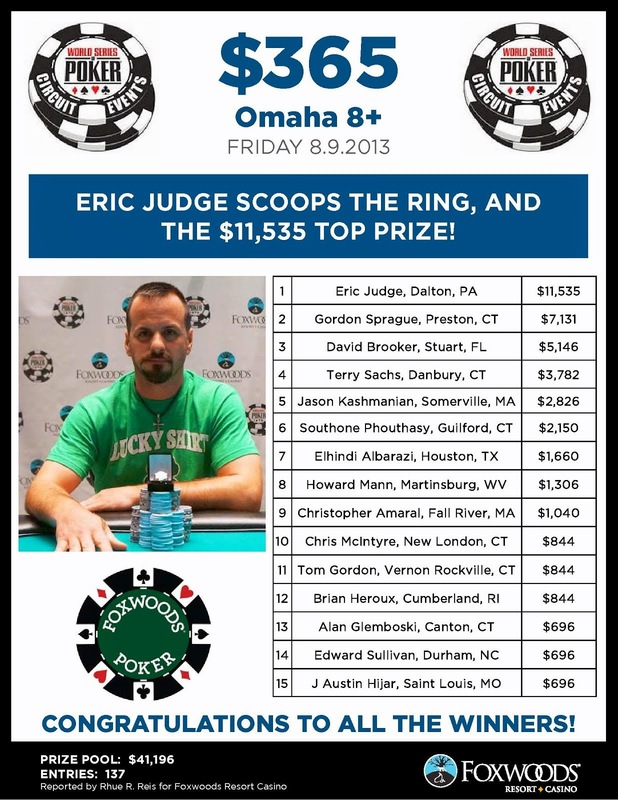 With top 45 spots paying, play on the money bubble continued for over an hour before finally losing a player. 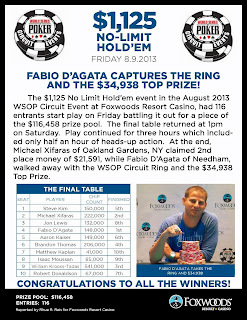 All players are now guaranteed at least $1,019 with first paying $49,825. Among those players still alive are James Campbell and Bobby "The Bus" Ferdinand. 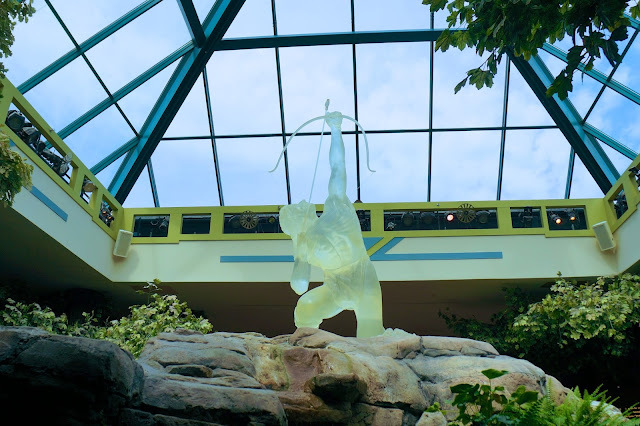 One of the most recognized feature of the Foxwoods Resort Casino is the Rainmaker statue. Located just outside a number of casinos and shops, the statue features a translucent sculpture of a male Mashantucket Pequot Indian on his knee that is illuminated by a laser show every two hours throughout each day. With a simulated thunderstorm and a brief story, the unique Rainmaker statue provides a a glimpse into the historic Pequot story. 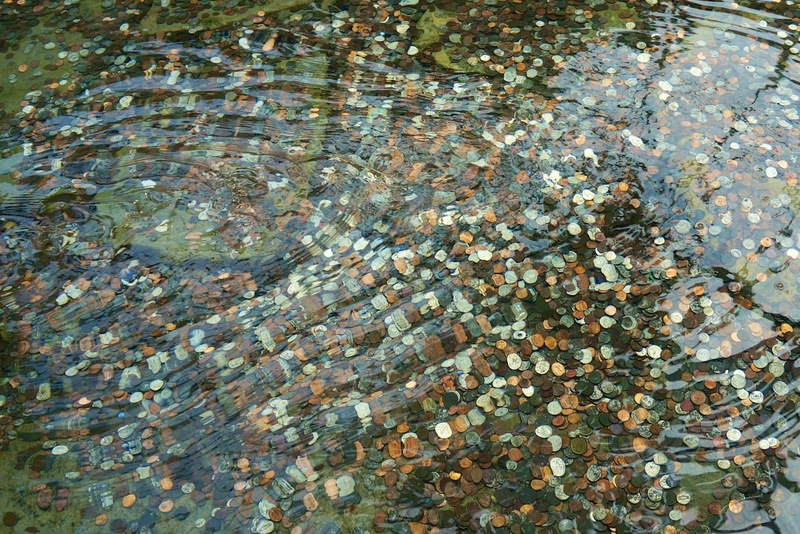 As you can see from the photo below, it also serves as a wishing well for children and patrons looking to change their luck. Day 2 of the $580 No-Limit Re-entry Underway and Streaming Live! Day 2 of the $580 No-Limit Hold 'em Re-entry event at the Foxwoods Circuit Series is now underway. There are 66 players remaining and the final 45 will finish in the money. 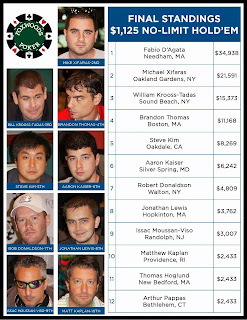 You can watch the live stream of the feature table at FoxwoodsLive.com. The sixth Circuit Ring event at the Foxwoods Resort Casino, the $365 No-Limit Hold 'em, is now underway. 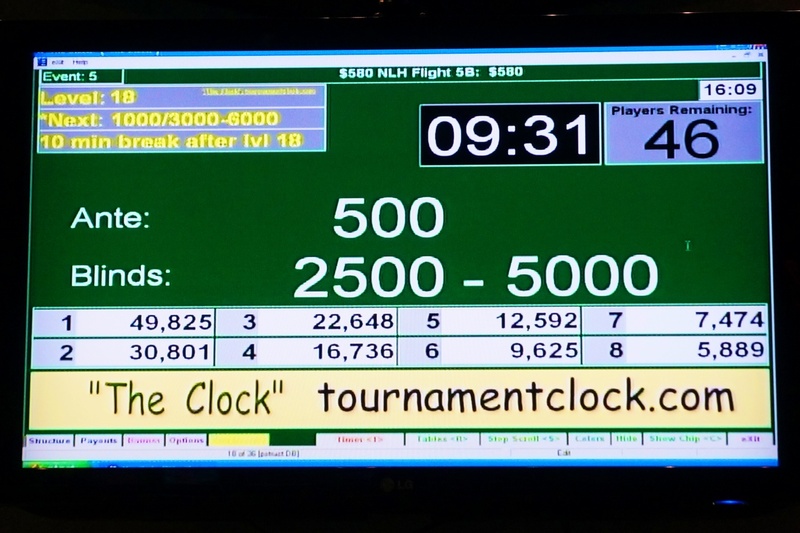 Additionally, Day 2 of the $580 No-Limit Hold 'em Re-entry gets underway at 2pm. There are 66 players remaining with top 45 spots finishing in the money.